Like any skin care addict, I’m guilty of owning more jars and bottles of creams, moisturizers, and lotions than most people. I’m proud of my collection, but I don’t always use all my products the way they should be used. Sometimes, I wake up too late or lose track of time and one of my creams ends up having to do double duty. This is definitely a habit I should break, especially when it comes to hand cream and my face. Hand creams are thick, luxurious, and ultra-moisturizing, but that doesn’t mean they should be applied to an area as delicate as your face. Here are five things to consider the next time you’ve pressed snooze too many times or spent a little too long in the shower. It might seem easy to cut corners, but trust us, it’s best to make sure that you use facial moisturizer, rather than hand lotion, on your face. It’s no secret that the skin on your hands is completely different from the skin on your face. Our hands’ skin are rougher, drier, and thicker than our faces’ skin. Different skin types need different types of products to remain healthy. You wouldn’t put toner on dry skin or coconut oil on oily skin, right? Use hand cream to lock in moisture on your hands and face cream to gently hydrate your face. You can use hand cream on your face because it’s made from the same ingredients as face cream, right? Wrong. 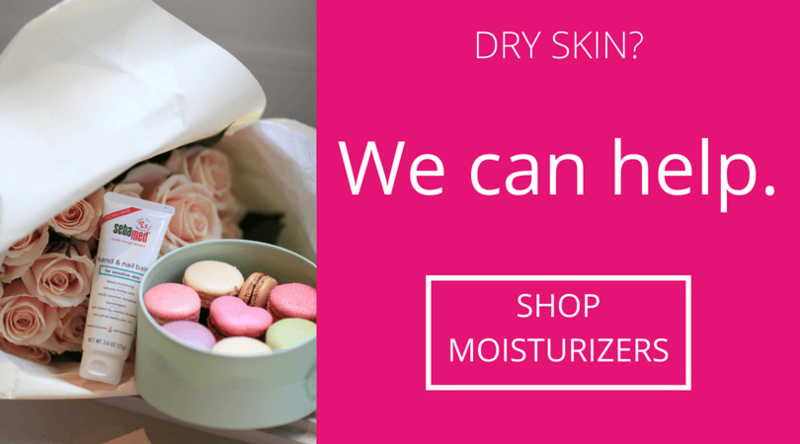 While the two types of moisturizers are made from the same ingredients, they are used in different concentrations. Hand cream contains higher amounts of active ingredients simply because the skin on our hands requires more hydrating agents than the skin on our face. Over-moisturizing your face can make your skin more oily than usual, potentially resulting in discomfort and breakouts. We suggest keeping your hand cream on your hands, which probably need a little extra love. Why do your hands need extra love? Think about it. You wash your hands after every trip to the bathroom and before each meal, you wash dishes with harsh soap, and you expose your hands to sunlight without applying SPF. All of this stuff that your hands go through make them dry, so they are in need of a thick, heavy moisturizer to keep them from becoming cracked and rough. Because your face isn’t exposed to strong dish soap or constant washing, it simply doesn’t need as much moisturizer as your hands. Hand cream feels amazing because it’s a bit thicker than most moisturizers. And, it has to be, since our hands do so much for us. Because it’s so thick, it feels very heavy (almost too heavy) when you put it on other parts of the body that require products with a thinner consistency. Putting hand cream on your face results in an uncomfortable, greasy feeling that’s nothing but bad news for those of us with acne. Opt for a thin face cream that hydrates the skin without aggravating your breakouts. This “No hand cream on the face!” rule is especially true for anti-aging products. The skin on our hands shows age much faster than the skin on our faces, so hand creams are going to contain larger amounts of anti-aging ingredients than face creams. There’s a reason why we only dab on small drops of eye cream or serum onto our faces. Using too much product or product that has too high of a concentration of anti-aging ingredients could prematurely age you. So, we think it’s best to use lotions and creams for the body parts they are intended for. Your skin will look and feel its best, we promise! I disagree with you, if it works great for your face and isn’t harming it, I say continue using it. I saw a woman of age at Walmart and asked what face cream is good for wrinkles, she said she uses Vaseline the original thick one, said she only dabs it on her eye facial wrinkle area. Her face looked young.